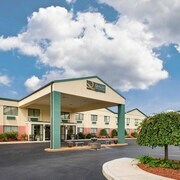 Situated near the airport, this hotel is 0.2 mi (0.3 km) from Gateway Theater and 3.1 mi (5 km) from Gettysburg Museum of History. Jennie Wade House and Gettysburg College are also within 6 mi (10 km). 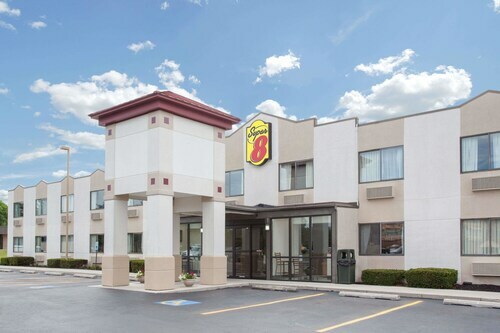 Situated in a national park, this hotel is within 2 mi (3 km) of Outlet Shoppes at Gettysburg, Gettysburg National Military Park, and Gettysburg Battlefield Museum. Mulligan MacDuffer Adventure Golf and Gettysburg Visitor Center are also within 2 mi (3 km). 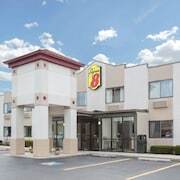 Situated in a rural location, this hotel is 1.2 mi (1.9 km) from The David Wills House and within 3 mi (5 km) of Gettysburg College and Gettysburg Battlefield Museum. Gettysburg National Military Park is 2.6 mi (4.1 km) away. 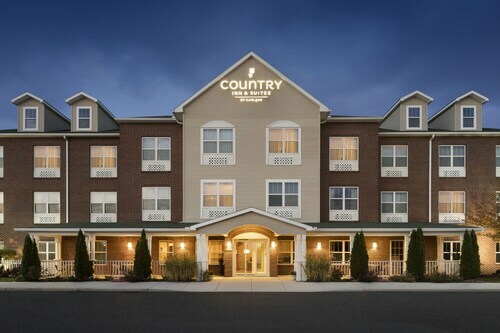 Located in the heart of Gettysburg, this hotel is within 1 mi (2 km) of Jennie Wade House, Gettysburg College, and Gettysburg Battlefield Museum. Gettysburg National Military Park is 0.9 mi (1.5 km) away. 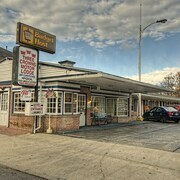 Situated in Chambersburg, this hotel is 0.3 mi (0.5 km) from Cluggy's Family Amusement Center and within 3 mi (5 km) of Wilson College and Capitol Theatre. Franklin County Visitors Bureau is 2.3 mi (3.8 km) away. 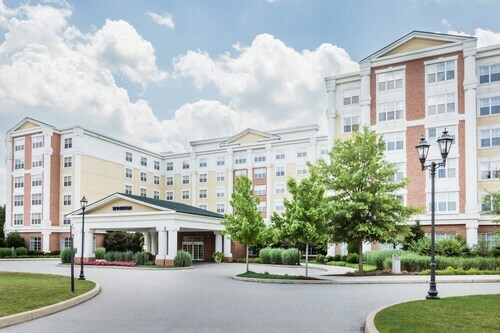 Situated in Greencastle, this hotel is 5.7 mi (9.2 km) from Martins Mill Bridge and within 12 mi (20 km) of Maryland Theater and Washington County Museum of Fine Arts. Hagerstown Suns Municipal Stadium and Renfrew Museum and Park are also within 12 mi (20 km). 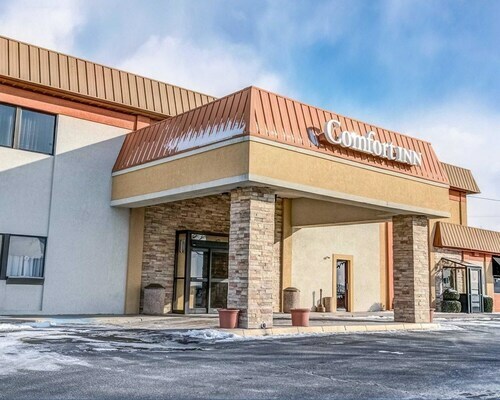 Situated in Chambersburg, this hotel is 0.4 mi (0.6 km) from Chambersburg Mall and within 6 mi (10 km) of Cluggy's Family Amusement Center and Norlo Park. Wilson College and Franklin County Visitors Bureau are also within 6 mi (10 km). 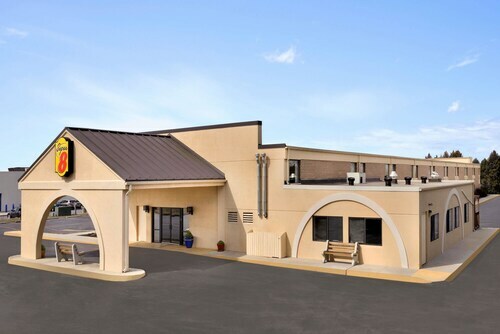 Situated in Chambersburg, this hotel is within 2 mi (3 km) of Cluggy's Family Amusement Center, Capitol Theatre, and Franklin County Visitors Bureau. Wilson College is 2.2 mi (3.6 km) away. 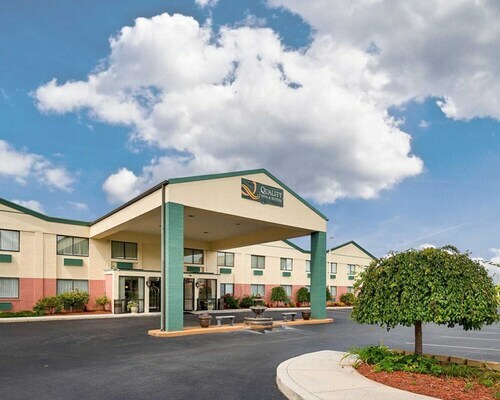 Situated in Chambersburg, this hotel is within 3 mi (5 km) of Capitol Theatre, Franklin County Visitors Bureau, and Cluggy's Family Amusement Center. Wilson College is 3.1 mi (4.9 km) away. 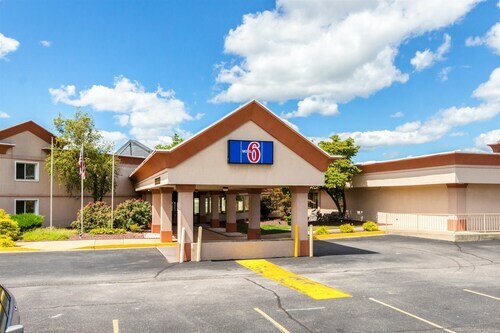 Located in the heart of Chambersburg, this hotel is within 3 mi (5 km) of Capitol Theatre, Franklin County Visitors Bureau, and Cluggy's Family Amusement Center. Wilson College is 3 mi (4.9 km) away. Situated in Shippensburg, this hotel is within 3 mi (5 km) of Shippen House, Shippensburgs University, and Luhrs Performing Arts Center. 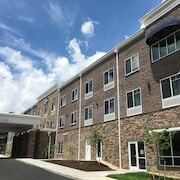 Conference Center at Shippensburg University is 2.3 mi (3.7 km) away. 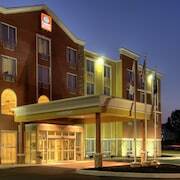 Situated in Gettysburg, this hotel is 0.5 mi (0.8 km) from Gateway Theater and 3.1 mi (4.9 km) from Gettysburg College. The David Wills House and Majestic Theater are also within 3 mi (5 km). Pet lovers shouldn't miss the chance to visit Gettysburg, a quaint and family-friendly city known for its museums and restaurants, as well as sights like The David Wills House and Majestic Theater. 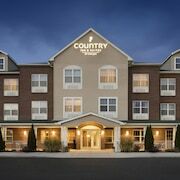 Choose from Travelocity's 37 pet-friendly hotels and accommodations in Gettysburg and bring your doggy along! Enjoy the fresh air at Caledonia State Park, Pine Grove Furnance State Park, and Codorus State Park. Other things to see include Gettysburg Convention & Visitors Bureau, Gettysburg Railroad Station Museum, and Gettysburg Museum of History. Need a pet store? Try Pet Valu, Tail Chasers Grooming, or Gecko Haven. For vet care, Gettysburg Animal Hospital Inc, Confederate Woods Veterinary Hospital, Inc., and Dodson, John A, DVM Gettysburg Animal Hospital INC are located in the area. Pets are allowed for a fee at this 3-star hotel, although restrictions apply. 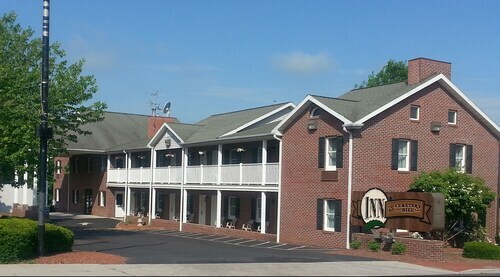 Guests appreciate its central location and spacious rooms. Pets stay free at this 2.5-star hotel. 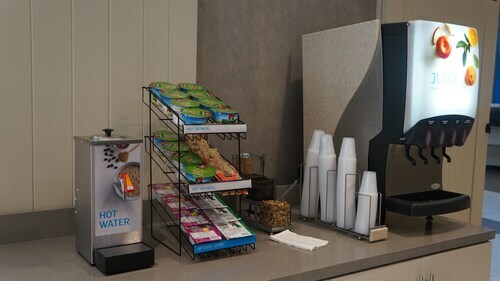 Guests appreciate the exceptional value. Pets stay free at this 2-star hotel. Guests appreciate its location and comfy beds. Weather can make or break your stay, especially if you're hoping to spend time outdoors. 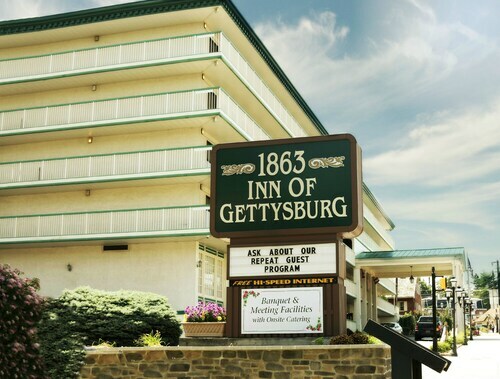 We have gathered the average day and night temperatures to help plan your time in Gettysburg. From January to March, average temperatures range from 56°F in the daytime to 23°F at night. Between April and June, the daytime average is 84°F and the nighttime average is 38°F. From July to September, average temperatures range from 86°F in the daytime to 51°F at night. Between October and December, the daytime average is 72°F and the nighttime average is 24°F. We had a great time they were doing some remodeling but it did not interfere with our stay. Very clean. Walking distance to everywhere we wanted to go. I had booked online then paid for a room upgrade to a king,smoking room. The room itself had many issues. The heater sounded like it was going to explode and kept making electric popping noises, the light in the shower did not work and the tub wouldn't drain, there were cigarette burns all through the bedding and the phone in the room did not work to call the front desk. We explained the situation and were told we could switch later that day. The room we were switched to was a smoking with 2 full size beds. It was slightly better but the upgrade I paid for was for a king size smoking room. The phone also did not work in that room. Disappointing experience. The breakfast was also subpar. Not pleased with the experience at all.